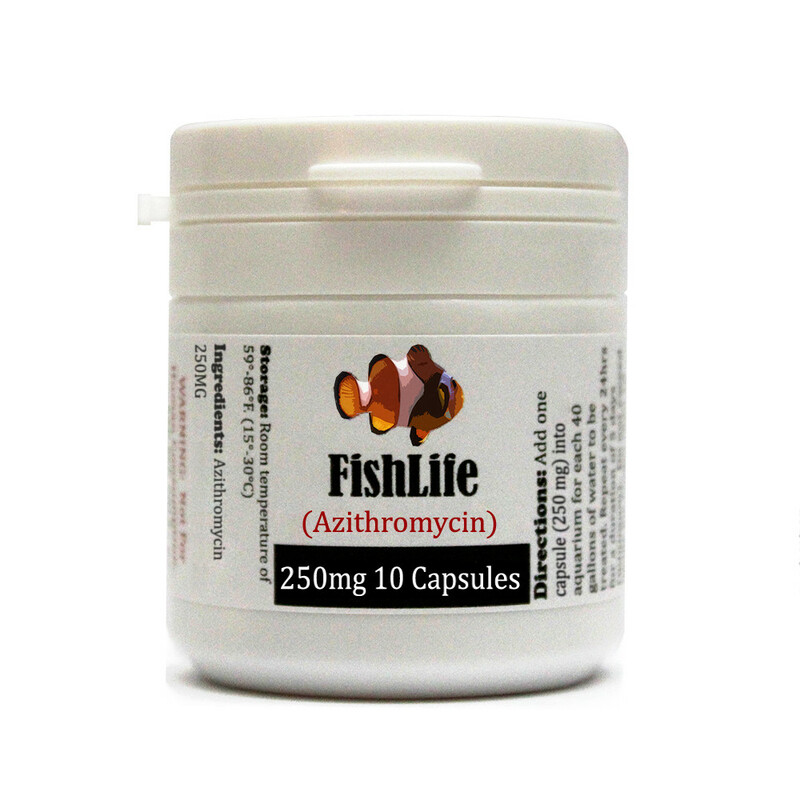 FishLife Azithromycin exerts a broad range anti-bacterial action on both gram-positive and some gram-negative bacteria. It is generally more effective in gram-positive infections. 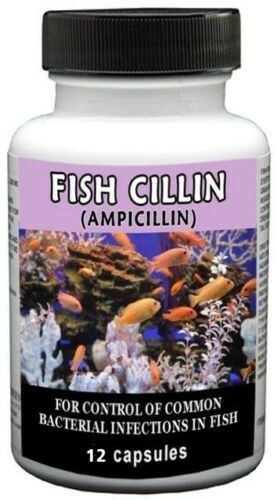 Fish: Add one capsule (250 mg) into aquarium for each 10 gallons of water. Repeat in 24 hours. It is suggested that a partial water change be made between treatments. While treatment duration depends on the type and severity of infection, it is recommended that extended baths in the medication continue for a minimum of 5 days and for not more than 10 days. 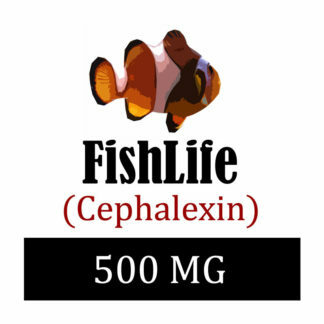 Discontinued treatment if no improvement is noted within 5 days. We are quick shippers. 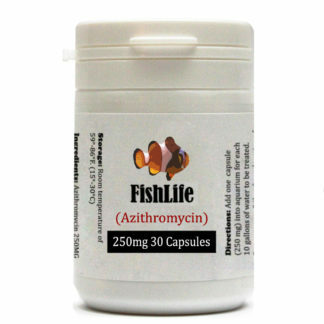 We know the urgency that you may have with needing this product. We ship three times a day. If you place your order any time before 4pm (Pacific) your order will ship out the same day. All orders will come with tracking number so you can always observe the shipping progress of your order.